The fact that education in the United States of America has been falling in the last few decades is something that President Obama is working hard to fix. 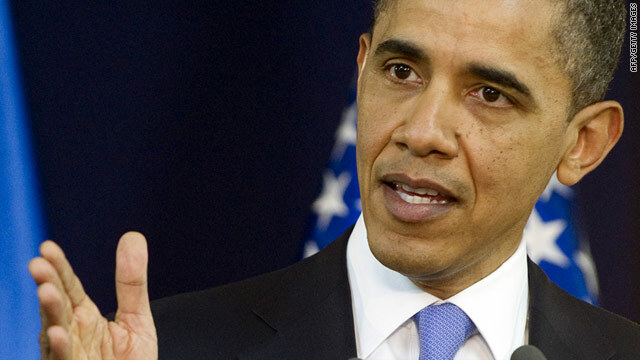 But unlike previous leaders of America, Obama is not looking to just make small changes to the big picture. Obama wants to go into every aspect of education in America and retool the system from the top to the bottom. One issue Obama is looking to address is the lack of attention given to Latino students who do not have a strong English background. The current education system requires students to pass state tests on English composition and literature at levels higher than they are capable of. Many students have not been in the United States very long and are still held to the same standards as those who have spent their entire lives in the United States and have spoken English since first learning to speak. One thing that does not help the matter is that many English Second Language students only speak English at school. Most go home to a household where English is rarely spoken if ever. In the United States, the Latino population is constantly growing and so is the ratio of Latino students in American public schools. Currently, more than twenty percent of students in the public school system are Latino. Arne Duncan, the Education Secretary, said that Latino and other ESL “students face real and growing challenges that we have to address.” He went on to say that barely fifty percent of those students graduate high school at the age they are expected to and that only one in eight make it through four years of college. The statistics are not much better when city and community colleges are factored in. Obama is looking to change all of that. He wants to revamp the education system in order to make sure that every single child has a fair chance to succeed. Obama understands that to truly improve education in the United States requires different strategies for all of the different types of students in the country. The aspects of the system need to change neighborhood by neighborhood and background by background. The changes Obama is looking to implement are from the bottom up. He wants to improve the entire system from Kindergarten all the way to the college system. He knows it is time for America to lead the world in education once again and focusing on the Latino population is vital to that goal. By the tens of millions patriotic Americans and legal residents are joining the TEA PARTY, to halt the illegal immigration invasion. This has become a financially vicious circle that will not end, with either the deep entrenched Liberal-Democrats, Republicans or any political entity, other than the committed TEA PARTY. The TEA PARTY is growing much faster from the dominant Republicans corner, and certain politicians are discarding there old party ties to join this third party. Pro-sovereignty, anti-ILLEGAL IMMIGRATION organizations are connecting with their regional tea party.